Two terrorists approach security fence and fire towards IDF troops, who fire back. The IDF on Friday evening thwarted an attempted shooting attack by a terror cell in northern Gaza. During the attack, two terrorists approached the security fence and fired towards IDF troops, the IDF Spokesperson’s Unit said in a statement. 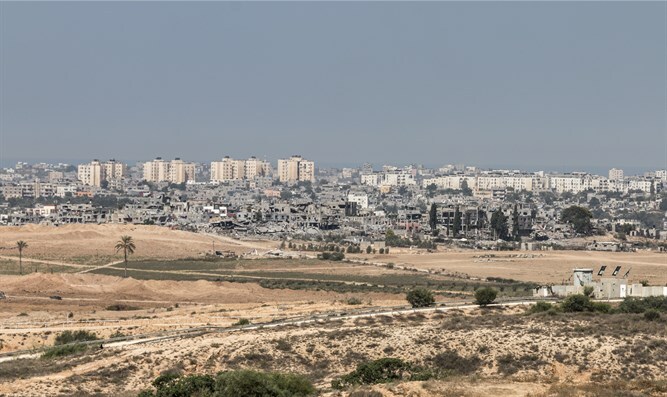 In response, IDF troops immediately fired according to the rules of engagement, targeting the terrorists as well as three nearby terror sites belonging to the Hamas terrorist organization with tank fire and IAF fighter jets. No injuries were reported and no damage was caused. “This severe shooting attack is further proof that the terrorist organizations in the Gaza Strip use these violent riots to camouflage terror. In addition, IDF troops fired towards suspects who infiltrated Israeli territory from the Gaza Strip via the security fence,” said the IDF Spokesperson. “Hamas is responsible for violent riots and everything taking place under its jurisdiction. The IDF will not allow the security fence to be turned into an area of terror,” it stressed. The incident followed a day of violent disturbances along the Israel-Gaza border as part of the Hamas-organized “March of the Return”. During the riots, Hamas sent a seven-year-old girl to confront IDF soldiers who were stationed along the border fence with Gaza. The IDF ensured that the girl returned safely to her parents.